Over €4 million worth of EU funding has been awarded to the international network ‘ENTWINE informal care’, led by Prof. Mariët Hagedoorn and Prof. Robbert Sanderman from the department of Health Psychology at the University Medical Centre Groningen (UMCG). The grant will be used to train 15 novice researchers to study and solve questions relating to sustainable ways of providing informal care. Informal carers provide unpaid care to relatives or friends with a chronic illness, disability or another long-term care need. An ageing population and medical advances are causing a sharp rise in the care needs of the elderly and the sick, while the availability of informal carers in Europe is dropping. European healthcare systems rely heavily on the services of informal carers, but there are fears for the long-term sustainability of these systems. Who will look after our elderly relatives in the future, and how? For the purposes of this research, the ENTWINE network will focus on both the increasing need for care and people's willingness and capacity to provide care. Cultural and individual differences will be among the factors examined. Combining knowledge from the fields of both psychology and technology will enable the network to develop support to help informal carers keep up their commitment and to promote positive caregiving experiences. This could involve using social robots to reduce stress among informal carers, or fitting homes with sensors to monitor confused or vulnerable care recipients. The network also wants to find the best way of implementing support such as this for informal carers. By providing this research opportunity and training programme for novice researchers, the network hopes to take up a key position in the development of sustainable informal care in Europe. The strength of the ENTWINE network stems from the close collaboration between researchers from various academic fields and between universities, businesses and non-profit organizations in a range of European countries. The researchers (PhD students) will be appointed in the Netherlands, United Kingdom, Israel, Italy and Sweden. As 15 PhD positions are available, the network is interested in candidates from diverse backgrounds including psychology, sociology, economics and technology, as well as computer, communication and health sciences. Applications are welcome until 30 November 2018. The EU grant has been allocated as part of the Marie Skłodowska-Curie programme: a programme that aims to give novice researchers a chance to improve their research skills, work with established research teams and elevate their own career prospects. Grants are awarded on the understanding that the projects involve several organizations from different European countries and that close collaboration will develop between research institutes and businesses. It is also a useful tool to explore scientific collaboration opportunities, so if you find anything that matches your interests please let us know! In recent years, the increasing convergence between nanotechnology, biomedicine and health informatics have generated massive amounts of data, which are changing the way healthcare research, development, and applications are done. Clinical data integrate physiological data, enabling detailed descriptions of various healthy and diseased states, progression, and responses to therapies. Furthermore, mobile and home-based devices monitor vital signs and activities in real-time and communicate with personal health record services, personal computers, smartphones, caregivers, and health care professionals. However, our ability to analyze and interpret multiple sources of data lags far behind today’s data generation and storage capacity. Consequently, mathematical and computational models are increasingly used to help interpret massive biomedical data produced by high-throughput genomics and proteomics projects. Advanced applications of computer models that enable the simulation of biological processes are used to generate hypotheses and plan experiments. 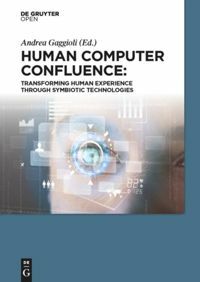 The emerging discipline of computational biomedicine is concerned with the application of computer-based techniques and particularly modelling and simulation to human health. Since almost ten years, this vision is at the core of an European-funded program called “Virtual Physiological Human”. The goal of this initiative is to develop next-generation computer technologies to integrate all information available for each patient, and generated computer models capable of predicting how the health of that patient will evolve under certain conditions. In particular, this programme is expected, over the next decades, to transform the study and practice of healthcare, moving it towards the priorities known as ‘4P's’: predictive, preventative, personalized and participatory medicine. Future developments of computational biomedicine may provide the possibility of developing not just qualitative but truly quantitative analytical tools, that is, models, on the basis of the data available through the system just described. Information not available today (large cohort studies nowadays include thousands of individuals whereas here we are talking about millions of records) will be available for free. Large cohorts of data will be available for online consultation and download. Integrative and multi-scale models will benefit from the availability of this large amount of data by using parameter estimation in a statistically meaningful manner. At the same time distribution maps of important parameters will be generated and continuously updated. Through a certain mechanism, the user will be given the opportunity to express his interest on this or that model so to set up a consensus model selection process. Moreover, models should be open for consultation and annotation. Flexible and user friendly services have many potential positive outcomes. Some examples include simulation of case studies, tests, and validation of specific assumptions on the nature or related diseases, understanding the world-wide distribution of these parameters and disease patterns, ability to hypothesize intervention strategies in cases such as spreading of an infectious disease, and advanced risk modeling. Georgia Institute of Technology researchers have created a speech-to-text Android app for Google Glass that displays captions for hard-of-hearing persons when someone is talking to them in person. “This system allows wearers like me to focus on the speaker’s lips and facial gestures, “said School of Interactive Computing Professor Jim Foley. The “Captioning on Glass” app is now available to install from MyGlass. More information here. Foley and the students are working with the Association of Late Deafened Adults in Atlanta to improve the program. An iPhone app is planned. The recent convergence between technology and medicine is offering innovative methods and tools for behavioral health care. Among these, an emerging approach is the use of virtual reality (VR) within exposure-based protocols for anxiety disorders, and in particular posttraumatic stress disorder. However, no systematically tested VR protocols are available for the management of psychological stress. Objective: Our goal was to evaluate the efficacy of a new technological paradigm, Interreality, for the management and prevention of psychological stress. The main feature of Interreality is a twofold link between the virtual and the real world achieved through experiential virtual scenarios (fully controlled by the therapist, used to learn coping skills and improve self-efficacy) with real-time monitoring and support (identifying critical situations and assessing clinical change) using advanced technologies (virtual worlds, wearable biosensors, and smartphones). The design contest solicits entries from student teams worldwide and is aimed at finding solutions that help keep people with cognitive impairments independent as long as possible. The competition is currently accepting submissions in what is called Phase I of the challenge. Submitted concepts will be judged in January and finalists will be given financial help to flesh out their design and travel to Stanford to present it. The final presentations, in April, will be before a panel of academics, industry professionals, nonprofit groups and investors. The top prize is $10,000, while the second place team will take home $5,000 and third place will get $3,000. Our networking session proposal was accepted at the ICT 2013 Conference in Vilnius (6-8 November, 2013). More than 5000 researchers, innovators, entrepreneurs, industry representatives are expected to attend the conference. That's indeed a great opportunity to explore the future developments of Positive Technology within Horizon2020. If you are also planning to attend the conference and you're interested in participating to this special networking session, drop me a message here. We hope you will join us in Los Angeles, California, on Saturday June 29th for attending the Symposium on Positive Technology. The special session features interventions by key PT researchers and is a great opportunity to meet, share ideas and build the future of this exciting research field! Are you interested in Positive Technology? Then come and join us on LinkedIn! Our new group is the place to share expertise and brilliant ideas on positive applications of technology! Digital Games for Empowerment and Inclusion possess the potential to change our society in a most positive way by preparing selected groups in a playful and fun way for their everyday life’s social and special situations. Exemplary domains span as far as from children with Autism Spectrum Condition to young adults preparing for their first job interviews or migrants familiarizing with their new environment. The current generation of such games thereby increasingly demands for computational intelligence algorithms to help analyze players’ behavior and monitor their motivation and interest to adapt game progress. The development of such games usually thus requires expertise from the general gaming domain, but in particular also from a game’s target domain, besides technological savoir-faire to provide intelligent analysis and reaction solutions. IDGEI 2013 aims at bridging across these communities and disciplines by inviting respective researchers and experts to discuss their latest perspectives and findings in the field of Intelligent Digital Games for Empowerment and Inclusion. The 2nd HCC summer school aims to share scientific knowledge and experience among participants, enhance and stimulate interdisciplinary dialogue as well as provide further opportunities for co-operation within the study domains of Human Computer Confluence. • experience abstract data spaces. The three-day summer school will include invited lectures by experts in the field, a round-table and practical workshops. During the workshops, participants will engage in hands-on HCC group projects that they will present at the end of the summer school. • Isabelle Viaud-Delmon, Acoustic and cognitive spaces team, CNRS - IRCAM, France. • Andrea Gaggioli, Department of Psychology, UCSC, Milan, Italy. • Stephen Dunne, Neuroscience Department, STARLAB, Barcelona, Spain. • Alois Ferscha, Pervasive computing lab, Johannes Kepler Universitat Linz, Austria. • Fivos Maniatakos, Acoustic and Cognitive Spaces Group, IRCAM, France. I would like to thank everyone involved but particularly the students and speakers who made this a very successful and enjoyable event. See you all next year in Paris!